The most striking thing about Body Team 12 is David’s proximity to his subject. Not just physically (often he was within feet of Ebola victims), but emotionally as well. 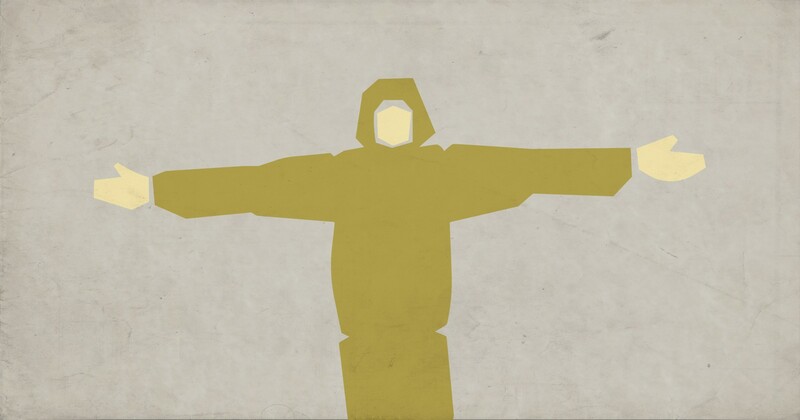 In just 13 minutes of film, he unmasks some of the bravest men and women of our time: the previously anonymous Liberians in the bright yellow jumpsuits the heroes who stood between us and a merciless pandemic. In the end, it’s not a story about Ebola. Like all great films, it’s a story about people. Here is our conversation with David Darg about his Oscar-nominated short documentary, Body Team 12. 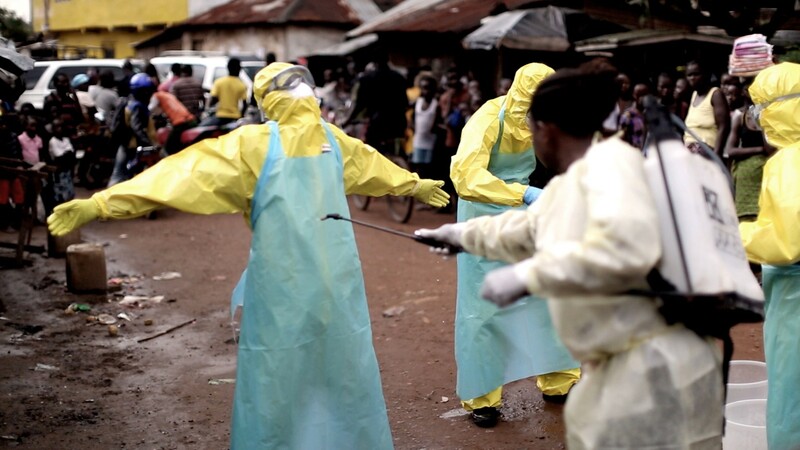 Musicbed: I read that you were a first responder to the Ebola crisis. How did you find this particular story? David Darg: I’m actually a first responder to a lot of crises and disasters. Both Bryn [Mooser, Body Team 12 producer,] and I have been doing that kind of work for a long time. We’ve been aid workers all over the world. We actually met in Africa and then we worked in Haiti after the earthquake. We lived there for two and a half years, and that’s when we started making films. 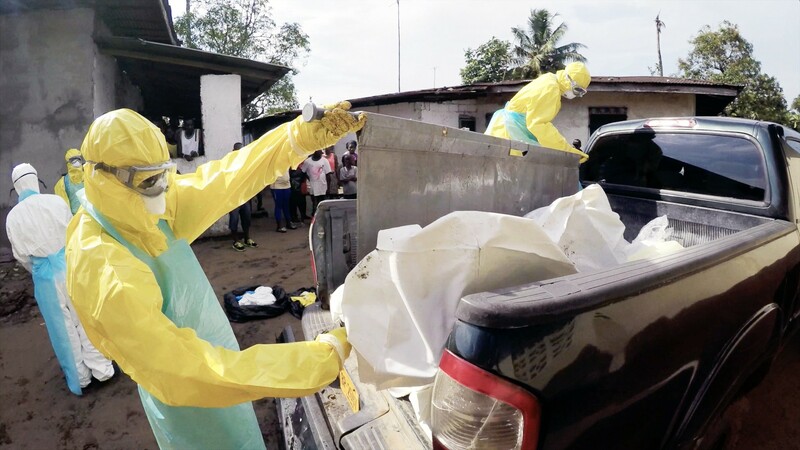 When Ebola first started, I went to Liberia early on as an aid worker to help set up the equipment that would produce liquid chlorine, the disinfectant solution they sprayed on dead bodies and surfaces. It’s one of the only defenses against Ebola. What was it like early on in the outbreak? Early on there were just a few hundred cases reported. But it was significant enough that we knew something had to be done. So we started setting up the equipment, but I also started documenting what I was seeing. I shot a video for Doctors Without Borders, and during that trip I saw this could really be a significant outbreak. It could get out of hand. 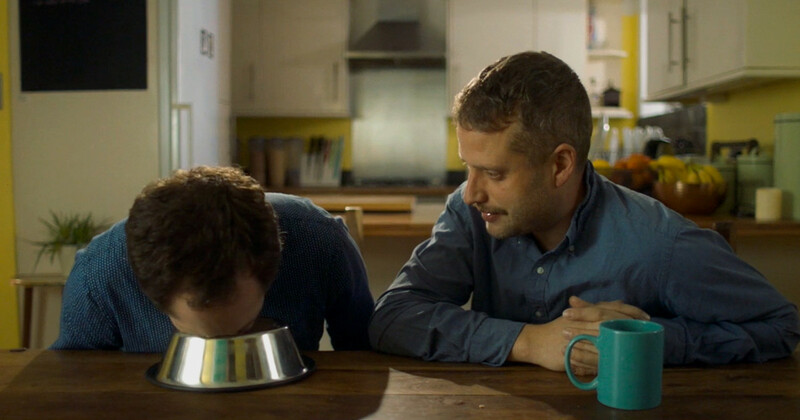 That’s when I started talking to Bryn about making a short film. We didn’t know what direction we would take. We just knew this was going to be significant. 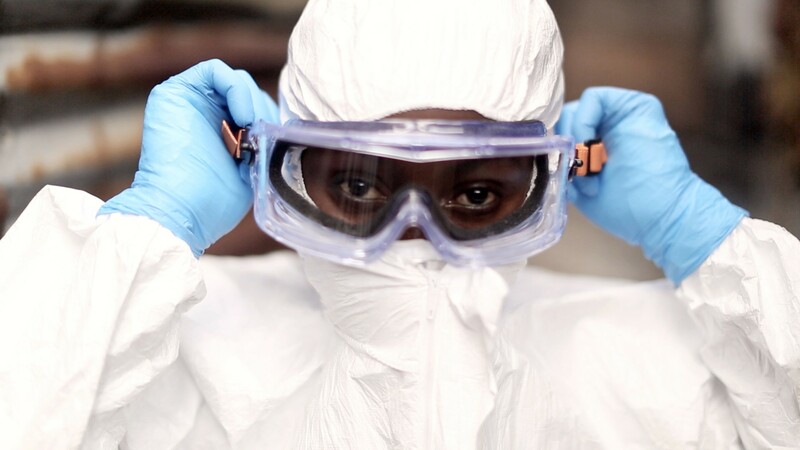 By the time I took my second trip to Liberia, Ebola had exploded. It was out of control. And the media was starting to notice. On that second trip, I focused on documenting what I was seeing; that’s when I learned about the body teams. I was amazed at what they were doing, and I asked the Red Cross if I could embed with one of their teams. They agreed and randomly assigned me to Body Team 12. I went out that first day expecting it to be gnarly, but I had no idea what I’d come home with. When I got back at the end of the day, I realized the bulk of my footage had been focused on Garmai Sumo, the female [team member] in the film. She was so dynamic and brave; it was clear we had an opportunity to tell the story through the eyes of this incredible woman. I told Bryn, “We’ve got a really good character here.” After that, it became clear that the focus of the film would be about this one body team. So that’s basically how it unfolded. I shot that trip, came back to the States, was quarantined, went back to Liberia for another shooting trip, and then was quarantined again. I made four trips during the epidemic, but the film was mainly shot over two trips right at the height of the outbreak. Why did you feel like a body team would be a good angle to tell the story of the crisis? First, there was a huge collaborative effort to fight Ebola, but these guys were on the front lines. There were a lot of people doing everything they could, but [the body teams] were the ones going in and doing the absolutely most grueling work I’d ever seen humans do. These were brave, young Liberians who were willing to sacrifice everything for the sake of their country. That was a powerful angle. You’re dealing with death all day long, and you’re ostracized from your friends and family because of the stigma of Ebola. Was this a difficult film to make? It was a really intense experience for me as a filmmaker. I’ve been in a lot of dangerous situations in some really crazy places, but this is probably the most dangerous film I’ve ever made. 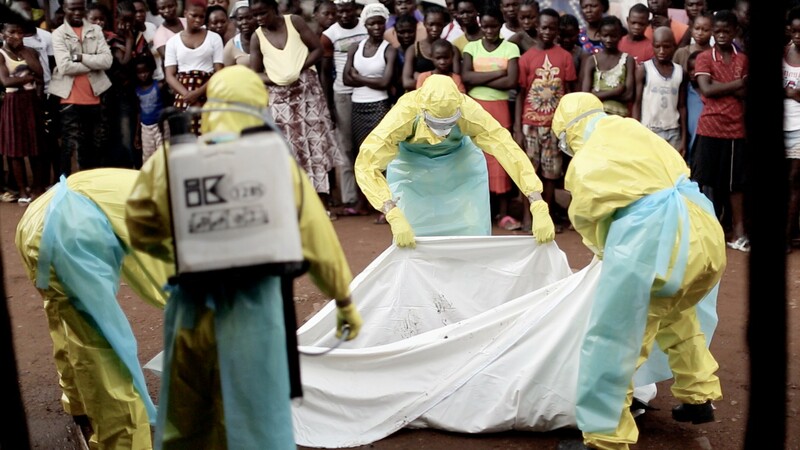 I was in very close proximity to a lot of Ebola victims — often within a few feet. 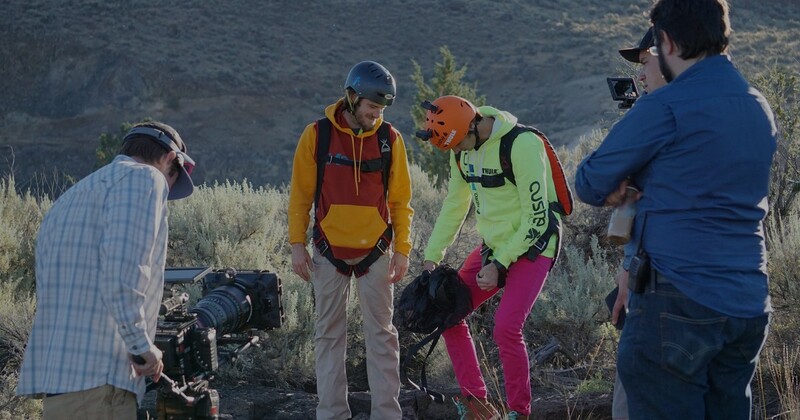 I had to wear protective gear in some of those scenes, which was tough because I was wearing goggles and a mask and a protective suit in 100-degree heat while trying to operate filmmaking equipment in some really tight spaces. It was brutal. But I don’t want to focus on that stuff too much because it was just a glimpse of the anxiety that the body team was going through. At the end of the day, I would be absolutely exhausted and have a raging headache because I was so dehydrated. But those are also the first symptoms of Ebola. So every day you start to freak out. It plays with your mind. You wonder, Am I next? It was a very scary experience. But like I said, it was just a glimmer of what these guys went through every day, day in and day out, month after month. Being on a body team was an exceptionally taxing job. From a mental standpoint, they’re afraid of the work they’re doing. But it’s also very physically demanding and very emotionally demanding. You’re dealing with death all day long, and you’re ostracized from your friends and family because of the stigma of Ebola. They weren’t welcome in a lot of these communities. What they were doing flies in the face of Liberian custom. They would show up immediately after someone died because they had scouts all over the city. Sometimes they’d show up within an hour of someone dying. Imagine your relative dies and within an hour someone turns up to take him away and cremate him. There was a lot of resistance. A lot of arguments. Which is why the policy of the Red Cross was to have a female member on every body team. Females were the best negotiators, and these weren’t easy negotiations. At one point we got chased through the community by a guy who was so angry, he was threatening to stab Garmai. I wish I’d had the camera rolling for that, but it was so intense that I was only thinking about running. Did you have a crew with you? No. It was just me. I did all the shooting and all the audio, but that’s something I’m used to doing. It’s news-style reporting. How many days did you spend shooting? It actually wasn’t that many days. I’d say maybe five full days embedded with the team. Then maybe five days with Garmai doing interviews and going to her home. I also had a lot of other footage I shot of the outbreak in general. I spent a lot of time at Ebola treatment centers and in these other settings. I had enough footage to make a much longer film. But we decided to focus on the body team and Garmai, and make a compact piece that paid tribute to the body teams, rather than doing a piece about the Ebola epidemic in general. So, for me, yes, the work is dangerous, but the rewards far outweigh the dangers. 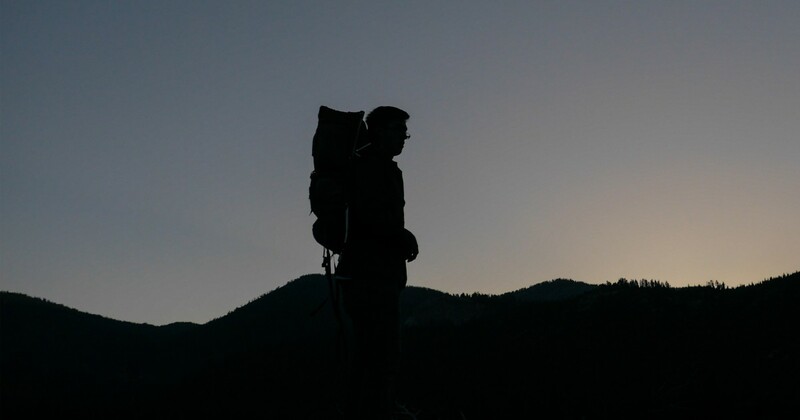 Why do you put yourself in these dangerous situations? For me, it always goes back to giving a voice to people who are in a desperate situation. 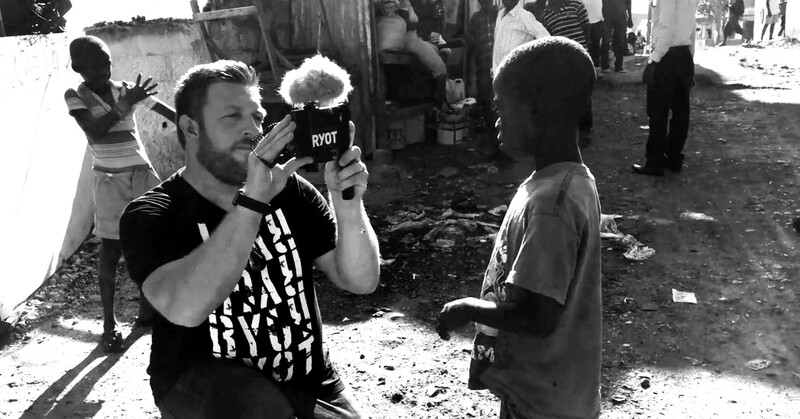 At my company, RYOT, everything we do is about giving people an opportunity to tell their story. A lot of it is dangerous, but it’s also rewarding. Here we are in 2016, and we’re able to talk about the heroism of these wonderful Liberians even though Ebola dropped out of the media long ago. But the legacy of Ebola continues. A lot of children were orphaned. Now that West Africa has been declared Ebola-free, Garmai has moved on to care for children who lost their parents. It’s been wonderful to use the film as a tool to raise awareness and funds for her work and her program. So, for me, yes, the work is dangerous, but the rewards far outweigh the dangers. We feel like we’ve really accomplished something great for Liberia and these orphans. And the fact is, the world is changing. The climate is changing. This isn’t going to be the last major pandemic we see in our lifetime. The scientific community agrees that things are only going to continue like this, or maybe even get worse. We’re seeing Zika now. 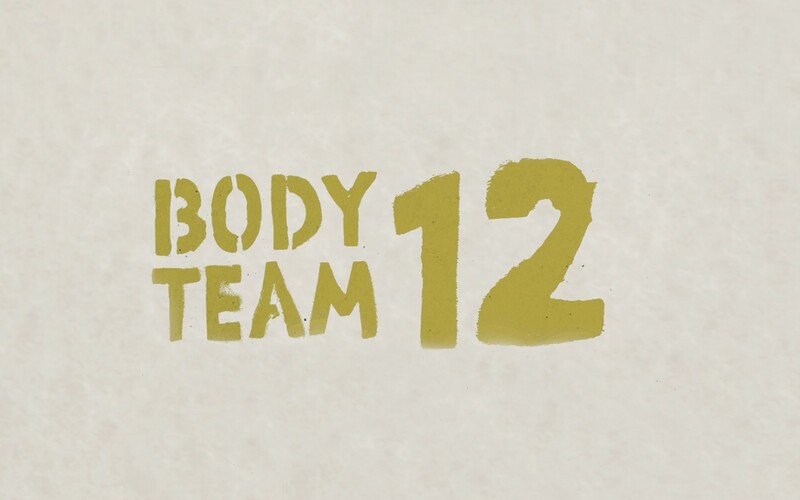 So for us, Body Team 12 is a story about these people who define human history by standing up in the face of these great, natural, frightening catastrophes. If it weren’t for people like that, we probably wouldn’t exist as a race, right? We hope the film is an inspiration. There will always be people like Garmai who are willing to sacrifice everything — not just for her family and her country, but for the rest of the world.